Ever wondered how one gets into the field of video game psychology? Is there even such a field, really? In many ways Dr. Nick Yee is the answer to both those questions. He has a background in psychology and experimental design and he has published several articles in refereed scientific journals. He has also written a book about the psychology behind how video game avatars shape our behaviors. All along the way, Yee has managed to blend these interests in psychology with his expertise in computer science and a love of video games to do some pretty interesting things. In many ways he is a great example of how one can merge the worlds of psychology and video games. 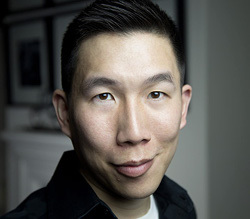 In this podcast episode Yee will explain how he turned that combination of interests into a job with big time game publisher Ubisoft, where he and longtime research partner Nic Ducheneaut applied social science theory and research methods to game design. Now they are setting out on their own venture to do the same for others in the gaming industry, and Yee will tell us all about it. Yee and I also talk extensively about how gaming companies are using data to track every little thing players are doing and how that information can be used to make games better. More to the point, we talk about privacy, ethics, and what role psychologists can (and should) play in this era of big data. How often are their skills and aptidutes are being put to good use in the gaming industry? Just how much does the training psychologists receive contribute to big game data analytics? Hope you all enjoy this one. Again, please leave a review and rating on the iTunes page or your other podcast service of choice. This is the biggest thing you can do right now to help me out. As per your request for suggestions, I would be interested in hearing something on gamergate. I know that this could be a bit too controversial, but I find those types of topics to be fascinating. Thanks again for the great new podcast. Thanks so much for this episode. Great talk ? ?